Curious about what a session with Carmel might look like? 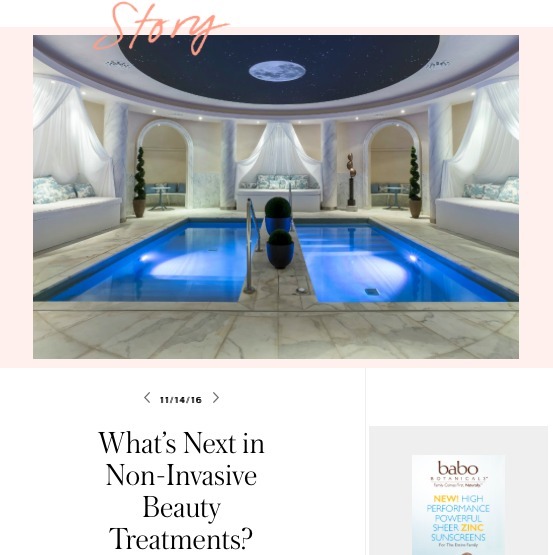 Wondering what tried-and-true skincare secrets Renew Spa swears by? Read Rachel Zirkle’s article about her lovely personal experience at Renew, which is perfectly tailored and unique to each individual who walks through our doors. 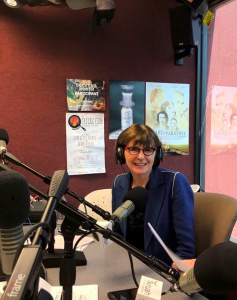 On November 10th, Carmel O’Neill appeared on Golf Talk Radio with Mike & Billy to discuss the “skin game” of golf and other outdoor professional sports in which sun exposure is inevitable. Tune in as Carmel debunks myths about sun-care and gives advice for men and athletes of all types who may not be taking the proper precautions and approaches to skincare. What kind of clothing or hats should you wear when playing sports outside? What sunscreen should you apply? How many times should you reapply? 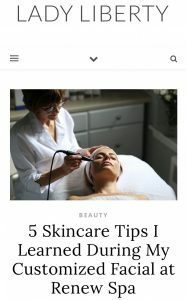 Learn all this and more from Carmel as she shares all her valuable skincare knowledge, including Vitamin A philosophies from Dr. Des Fernandes, founder of Environ skincare. Listen to the full interview to Carmel’s best advice, tips, and lesson. 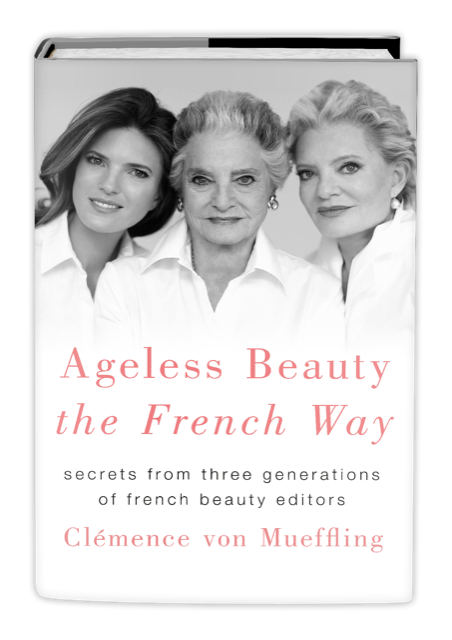 Renew is delighted to be featured in Ageless Beauty the French Way by French author, Clémence von Mueffling. Carmel is mentioned on page 98 in the chapter regarding micro-current therapy. Micro current is among the most effective noninvasive anti-aging technology treatments available. It works with your own body’s electrical current to tone and lift the next, jaw, and eye area. It reduces and eliminates fine lines and wrinkles; increases cellular activity; increases collagen and elastin levels; improves sun damage, rosacea, acne, and melanoma; stimulates your circulation to reduce inflammation and dark circles; and improves hydration and receptivity to nutrients. It has immediate, visible results. Purchase a copy of Ageless Beauty here. 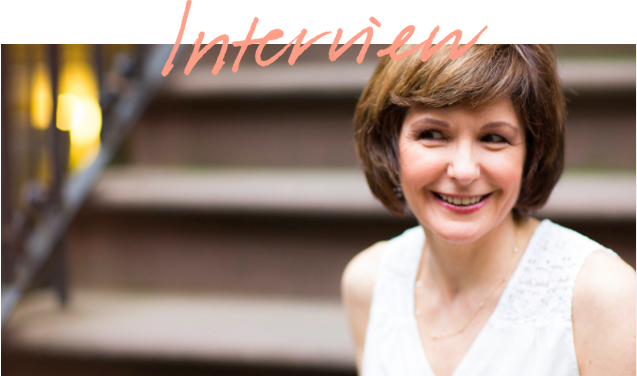 “Carmel O’Neill is the founder of Renew Spa in New York, and she takes a slightly different approach to anti-aging. 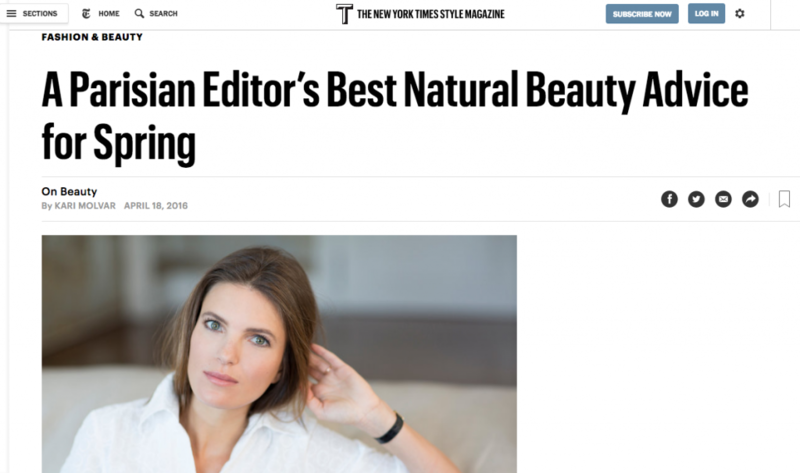 With her undeniable skill and “Magic Machine” in tow, Carmel has the power to make anyone feel more beautiful, radiant, and youthful than ever before. Her spa offers the whole package; not only does she spoil you with a luxurious, pain-free experience, but her methods are also unquestionably effective. One of her most popular procedures is the microcurrent massage, a natural face-lifting procedure. By using your own body’s electrical currents, it is compatible with the skin, lifting, toning and tightening your face towards its desired complexion. The procedure also increases the oxygen circulation in the face. “Microcurrent is amongst the hottest non-invasive anti-aging technology available. Bottom line, my clients need technology that performs, and performs well; microcurrent delivers,” she tells us. 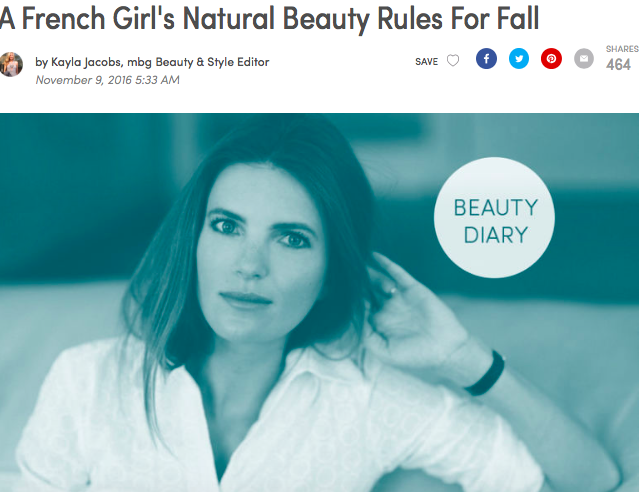 Read the original Beauty and Well Being article here. Now that the weather is changing, I also start taking cures of vitamins and probiotics. The wonderful Carmel at Renew Spa just recommended to me vitamin D3 and probiotics from Kimberly Snyder. Of course, over time I can go to see her to get my microcurrent treatment! And now that the days are colder, I will buy some of my favorite French pharmacy products. Homeoplasmine is a must! This Vaseline-like cream is ideal for dry lips. I also swear by Avène Cicalfate, which will remove any redness or skin irritation. Read the original MindBodyGreen article here. Read the original New York Times article here. CO The microcurrent massage, a natural face-lifting procedure. It uses our own body electrical currents. It lifts, tones, tightens the skin, increases the level of oxygen circulation in the face. CO After cleaning your face, I apply some gel to facilitate the transmission of electricity from the machine (“The Miracle Machine”) to the skin. There are four different kinds of waves of current. I can increase the intensity of the current depending on your resistance. The current is transmitted through a diffuser that looks like a fork. I work 30 minutes on each side of the face. CO Not at all, quite the opposite, some clients fall asleep during the session!